Keep the kids busy these school holidays with the iconic collection of May Gibbs colouring sheets. Free to download and print, your kids will love bringing the world of Snugglepot and Cuddlepie to life in colour. 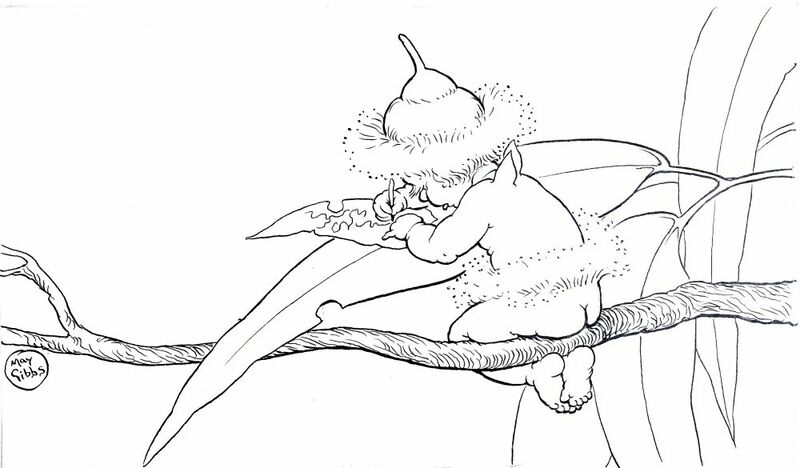 Based on the original artwork of May Gibbs’ Gumnut Babies, the May Gibbs collection of colouring sheets is simply stunning. Choose from best friends Snugglepot and Cuddlepie, story time with Mr Lizard, adventures with Mr Kangaroo, and many more. 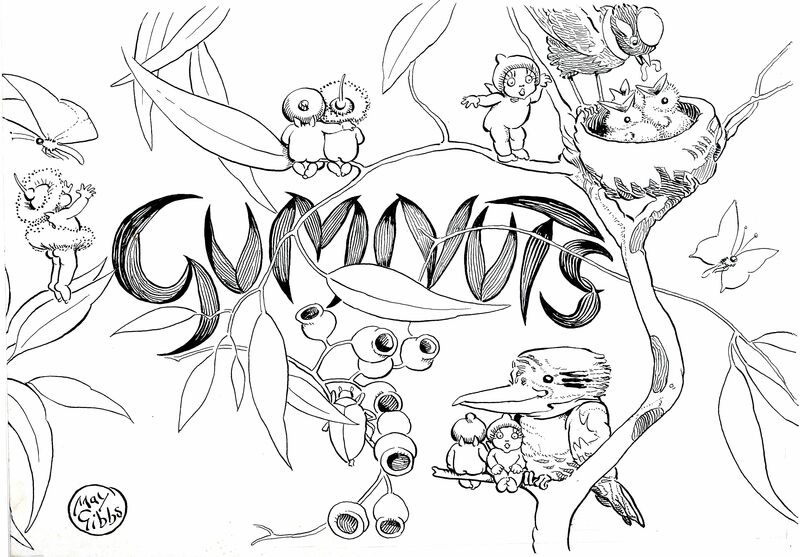 Let your kids’ imaginations run wild as they colour in their favourite gumnut characters. The beautiful May Gibbs printable colouring sheets are begging to be brought to life with the colours of the Australian bush – green gum leaves, yellow wattle and brown gumnuts. But when it comes to kids and colour, there really are no rules! Your little one’s bush scene might end up in a rainbow of colours – and why not? Looking for printable colouring in sheets your kids will love? 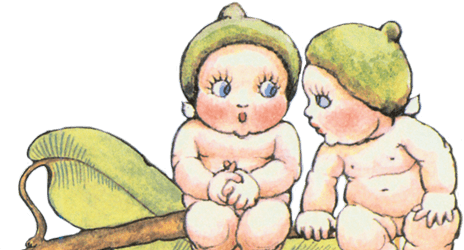 Check out the full collection of classic May Gibbs colouring in sheets. It doesn’t matter if your child is three or 13, the iconic May Gibbs characters are a timeless favourite with kids (and adults) of all ages. Younger kids can enjoy colouring in the Gumnut Babies, or delight in creating unique art on a blank sheet of paper bordered with entwined wattle, gum leaves, gumnuts and a hidden gumnut baby or two! The more intricate colouring in sheets, featuring the Gumnut Babies in a detailed Australian setting, will keep older kids focused on producing a beautiful creation. With lots of May Gibbs colouring sheets to choose from, there is something for all skill levels and tastes. Hunting for printable colouring in sheets for boys and girls? The May Gibbs colouring in sheets are sure to be a favourite with boys and girls alike. If your school holidays have been jam-packed with activity so far, your kids might be ready for some down time. Colouring in is the perfect way to keep your kids quietly entertained and relaxed. Practising mindfulness through colouring is a great way to prepare your kids for the start of the school year. If you have craft-mad kids in your house, they’ll have a ball with our selection of May Gibbs kids’ activities. Make your own Snugglepot and Cuddlepie finger puppets or create an Australian bush gumnut singing angel. Can your older kids crack the Gumnut Babies bush code? Perhaps they’d like to create their own bush telegraph? Check out our May Gibbs fun and games for plenty more Aussie fun once your kids’ colouring sheets are proudly stuck on the fridge! Browse the beautiful selection of May Gibbs printable colouring sheets today. « The Essentials Every Reading Nook Needs!